Richard H. Toland, Ph.D., P.E. 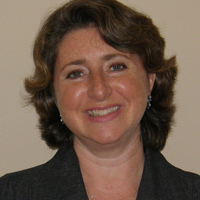 Dr. Melissa R. Hoffman has consulted with Fleisher Forensics since 2010 and has extensive veterinary experience practicing small-animal veterinary medicine and surgery in the Philadelphia area. Dr. Hoffman is a member of the American Veterinary Medical Association (AVMA) and the Pennsylvania Veterinary Medical Association (PVMA). Dr. Hoffman is an Associate Veterinarian at Banfield Pet Hospital in Willow Grove. Prior to joining Banfield, Dr. Hoffman worked at St. George Hunt Memorial Veterinary Hospital and Hopewell Veterinary Hospital. In addition, she serves as Medical Science Director for Best Pet Rx, a specialty veterinary compounding pharmacy. Dr. Hoffman is actively involved with animal rescue, and has worked with several non-profit cat rescue organizations. At Forgotten Cats, she was responsible for running spay/neuter clinics for stray and feral cats as part of trap/neuter/return projects for five years. Currently, she is the Head Veterinarian at The Bridge Clinic, which provides veterinary care to feral cats and adoptable pets in various area shelters. Dr. Hoffman received her Bachelor of Arts Degree in Biological Sciences from Rutgers University and her Doctor of Veterinary Medicine from Iowa State University. She is the owner of a mixed-breed dog and five cats. Prior to consulting with Fleisher Forensics, Dr. Hoffman’s background includes writing a weekly blog for Petbenefits.com relating to various aspects of veterinary medicine. As Adjunct Professor at Delaware Valley College, she taught a laboratory course in lab animal handling and management. Solid background in clinical small-animal veterinary medicine. Established reputation for exceptional clinical proficiency. Experienced in handling heavy caseload and challenging presentations. Highly skilled in developing and maintaining excellent rapport with clients and communicating effectively while providing current, accurate pet health recommendations. Copyright (c) 2011-2017 Fleisher Forensics - All rights reserved.